In all the hustle and bustle of running from the Tulsa TechFest, to DevConnections (didn't even have time to blog this event! ), to now PDC, and working hard to prepare for last night's JustCode introduction, I have simply failed to have time to bring you my usually timely announcements of upcoming events. So while I have a couple of minutes this morning, let me try to play catch-up. Today I'll be hosting a PDC Birds-of-a-Feather (BOF) session at 2:00 PM in room 309. 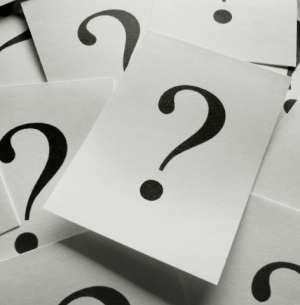 The topic of this BOF: Should I use Silverlight, MVC, or WebForms for web UI development? If you're a .NET web developer, you are probably faced with this challenging question from time-to-time, and sometimes it can be hard to really make a "good" decision about which technology to use. The goal of today's BOF is to extract from the community the real world lessons, guidance, and "rules of thumb" can help make this decision earlier. When you leave this BOF, you should be armed with the knowledge you need to confidently plot the course for your next project without hesitation. So, whether you're full of questions or full of answers, make sure you find room 309 today at 2:00 PM and take part in the conversation! P.S. Ben Hoelting was originally scheduled to co-host this event, but due to circumstances out of his control he was unable to make it to PDC. Apologies to all of Ben's fans hoping to see him at this BOF! We need a productivity tool that is fast! It cannot be allowed to slow down Visual Studio in the slightest. It needs to load fast (even with large projects). It needs to execute its anlaysis fast (across entire solutions). And it needs to install and update fast (the plug-in is auto-updating). We need a tool that doesn't interrupt "normal" coding. We need an unobtrusive tool that helps us "just code" without constantly bombarding us with dialogs or distracting animations. The whole idea of JustCode is that it "invisibly" blends in to your development process, providing things like in-line refactoring without breaking your mental train of thought. Less is more with JustCode UX. There are obviously lots of details we look forward to talking more about now that the product is public. Stay tuned to Telerik Watch and the Telerik Blogs for much more over the coming weeks. You can also already check-out a host of videos covering JustCode on Telerik TV. For now, download the beta on Telerik.com and give it a try. Our team will be working hard to respond to all feedback between now and the official release in Q1 2010, and you can expect to see regular updates every few weeks leading-up to the official release (which the auto-updating plug-in will make it easy for you to install). We're excited to bring this new product to you and we hope you enjoy being even more productive as you just write code...with JustCode! Two ROUs in one week?! I'm working overtime for you this week and I have another very cool (and free) Random Online Utility to share. 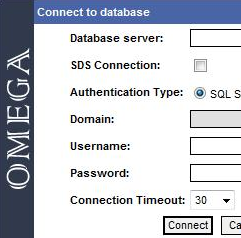 This time, the tool is called Omega.MSSQL and it is from a company called Cerebrata (based in India). I found this tool while looking for something that would let me browse the objects in my SQL Azure databases. As you may be aware, the current version of SQL Azure does not support the Microsoft SQL Server Management Studio object browser. There are some "hacks" that allow you to use SSMS to query Azure, but it's far from the visual tool I wanted. Omega.MSSQL fits the bill perfectly. Cerebrata has made this tool for a while (it seems) for standard use with SQL Server, but their recent update enables full compatibility with SQL Azure. The tool is web-based, so no installs required, and it is currently free of charge. You just visit the log-in page, input your SQL Azure instance details, and then browse your objects (assuming you've configured your SQL Azure firewall, too). You can browse most object types and you can even perform actions like creating and dropping tables. Coincidentally, Steven Forte recently highlighted another tool you can use to browse and query objects in SQL Azure, called Gem Query. This tool is Windows-based, so it does require an install, and it offers much better querying tools than Omega.MSSQL. It does not, however, seem to offer as much help for performing schema operations (like drop table), so I still prefer Omega for that. Both tools are free, though, and both are great help if you're starting to work more regularly with SQL Azure. And since OpenAccess ORM now supports Azure, I'm sure you've got even more incentive to start developing for the cloud! Another day, another Q3 2009 Release Week Webinar. Today we covered what's new in the RadControls for ASP.NET AJAX and the Telerik Extensions for ASP.NET MVC. Literally hundreds of people tuned-in live to see what we are shipping in this release, so a big thanks to all of you for participating in our Q3 2009 release. The webinar was recorded, processed, and it is now available on Telerik TV for your on-demand viewing pleasure (in addition to being embedded above). The webinar starts by covering what's new in the AJAX controls, focusing on the three new controls (Rating, SiteMap, and ListView + DataPager) and the major enhancements to the existing controls. After some demos and a look at the ListView design-time, we move on to discuss the Telerik Extensions for MVC. We look at the new demos, go through step-by-step adding the Extensions to a MVC project, and then wrap-up with some follow-up resources. Enjoy the webinar content and to those of you that attended live, we'll be announcing today's "webinar winner" on Twitter very soon (@toddanglin)! Today's winner will get a Telerik Premium Collection license. 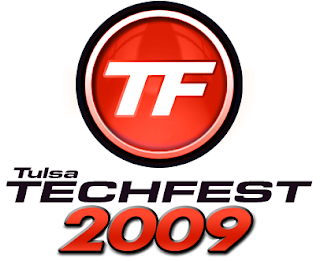 While this week is dominated by Q3 2009 release activity (clearly), I've still managed to find a way to hop on a plane and participate in this Friday's Tulsa TechFest 2009! Tulsa TechFest is one of the larger TechFests in the US (they have a stated goal of 1,000 (!) attendees this year), which is pretty incredible considering the size and location of Tulsa (population 592k). The event is virtually free for all attendees. Admittance costs either $2 or you can choose to bring and donate two canned goods for the local food bank (great idea, especially around this time of year). I last spoke at Tulsa TechFest waaaay back in 2006. It was actually my first speaking gig for Telerik, and it was before I was a paid company man. It will be fun to go back and speak this year (even if I'll be thoroughly exhausted by Q3). If you're in the Tulsa area or traveling-in for the event, be sure to stop by and say hello. I'd love to meet and I'll be more than happy to chat about all of the fun new stuff Telerik just released in Q3 2009. See you tomorrow in Tulsa! 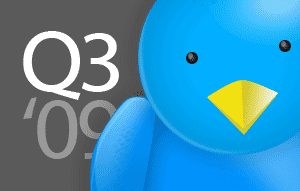 Miss the first of the Q3 '09 Release Week Webinars today? Catch-up now by watching the recorded on-demand version now available on Telerik TV (and above). Today's webinar provided an overview of the Q3 2009 release and took a closer look at the new features in OpenAccess ORM and WebUI Test Studio. This is the first of five planned webinars, so don't miss the next event, which is going to cover the new stuff in the RadControls for ASP.NET AJAX and MVC. 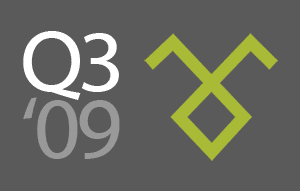 In case you haven't visited Telerik.com today, or joined me for the kick-off Release Week Webinar, or if you're part of the 50%+ that don't use Twitter, I'm pleased to announce that the Telerik Q3 2009 release is now live and available for immediate download on Telerik.com! This is the 3rd and final major release of this calendar year and as you know by now, it's a big release. All 7 (really, 8, if you count TFS tools) products in the Telerik Premium Collection have been updated and all of the new bits are available today. RadControls for ASP.NET AJAX - Now with more speed! Enjoy the Q3 2009 updates and don't miss all of the contests and webinars this week designed to help you maximize your success with the Telerik tools! Get the Q3 2009 Release Week started right with today's kick-off webinar! Hosted by yours truly, today's webinar will provide a high-level overview of the Q3 2009 release, drawing your attention to the major improvements across all Telerik products in the Premium Collection. It's the easiest way to get oriented to the new bits. Today's webinar will also dive-in and focus in more depth on the new features in OpenAccess ORM and WebUI Test Studio in Q3 2009. Both of these products have some exciting new features in Q3, and today's webinar is your chance to learn about the newness and see some of the features demo'd live in Visual Studio. It all starts at 11:00 AM Eastern (see timezone conversions below) today! Register now to save your virtual seat at the event. Don't forget, by attending today's webinar, you'll be in the drawing for one of two Telerik Premium Collections going out to attendees of this kick-off event! It's only been 9 months since I last encountered a random utility program that I enjoyed enough to stop and bring your attention to it (in this running "series" of Random Online Utilities). This time the helpful little program is called TeraCopy. TeraCopy is the best utility I've found to address the problem. 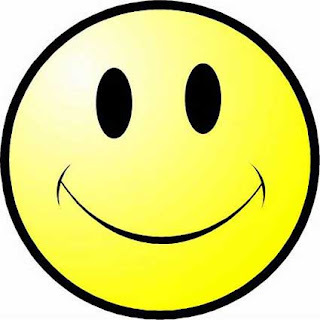 It is a free utility app that supports most versions of Windows (including Win7 32/64 bit) and provides "resilience" to network file copying that Windows (frankly) should have out of the box. It supports queuing, pausing, resuming, and auto error recovery for any Windows file copy operations. In fact, if enabled, TeraCopy will automatically intercept all copy operations without requiring any additional action on your part. It's like Internet Download Manager (my preferred web download manager) for Windows. Now, I know some of you will be quick to reference RoboCopy, Microsoft's built-in support for more robust network file copying. While true that RoboCopy does do a better job than built-in Windows copying, out-of-the-box it is a command line only tool, which makes it less than convenient for everyday network copying. There are GUIs for RoboCopy, too, but I find TeraCopy to be more minimalistic and transparent- just the way a great random utility should be!